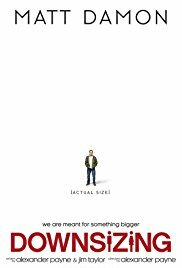 The official trailer for “Downsizing” does an impressive job of convincing the viewer that the film is a comedy. Let us make one thing clear: this is not a comedy. It’s occasionally amusing, and at some point in the script’s development, it may have been a biting social satire. And then the first act ends, at which point the movie doesn’t just lose its way: it falls off a cliff. Whatever point it was originally trying to make is long forgotten by the end of Act II, and Act III is completely rudderless. Alexander Payne is “credited” with directing the film, but it’s clear that he was bound, gagged, thrown in a locker and left for dead the moment Matt Damon’s character makes the jump to Smallville. At the beginning of the decade, no one could blame Pixar staffers if they thought their offices were bugged. In 2008, Pixar announced that they were beginning work on a film called “Newt,” about a male and female blue-footed newt that were the last of their kind, paired up by scientists to save the species. Set for release in 2011, the film was scrapped in early 2010 once the studio discovered that 20th Century Fox’s Blue Sky Studios was about to release a film called “Rio,” about a male Spix’s macaw who’s taken from his home to mate with another Spix’s macaw. 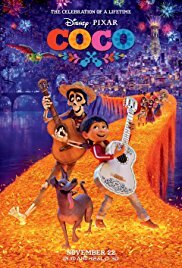 A few months after “Newt’s” cancellation, “Toy Story 3” director Lee Unkrich, on the heels of the film’s out-of-the-gate success, announced plans to make a film about Dia de los Muertos, the Mexican Day of the Dead celebration.